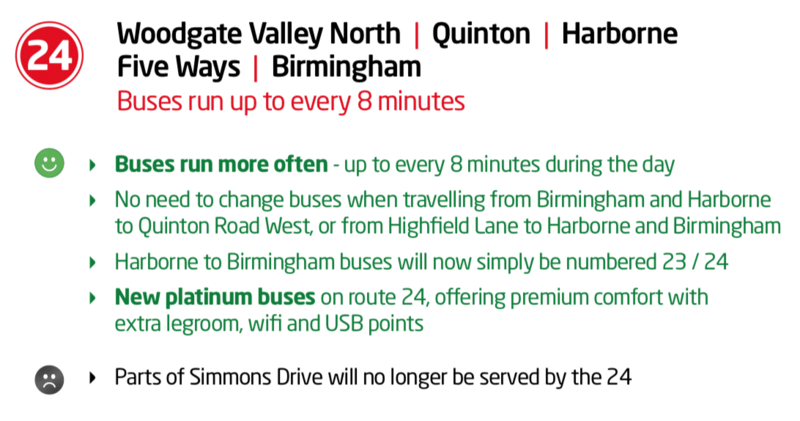 Following an extensive consultation, National Express West Midlands have today announced changes to bus routes in and around South and South West Birmingham. Following some speculation over the last week or so on social media, the company have today published the full changes on their website. 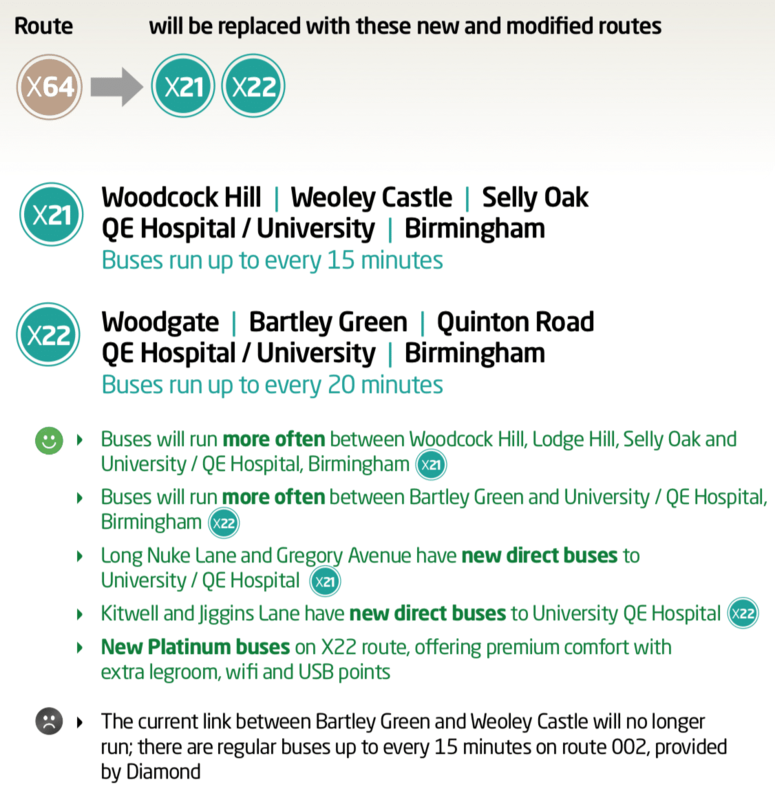 Alterations to services range from timetable improvements to larger route changes, new express services, more direct routes to the Queen Elizabeth Hospital and University of Birmingham. To help improve reliability, bus stops on Stonehouse Lane and Stonehouse Hill will be moved onto California Way and Northfield Road. The route terminus at Woodgate Valley South will now move to Quinton Road West at West Boulevard. The route between Birmingham and Four Dwellings School will not change. From Four Dwellings School, buses will run along Highfield Lane, then up Simmonds Drive to run along Quinton Road West. This means the lower part of Simmonds Drive will not be served by the 24. The nearest stops can be located on Simmonds Drive close to the phone box, or along Quinton Road West as they are now. An alternative service will be provided along Simmons Drive by igo routes 10 / 10H / 10S, which will change at the same time. These buses will serve the full length of Simmons Drive. 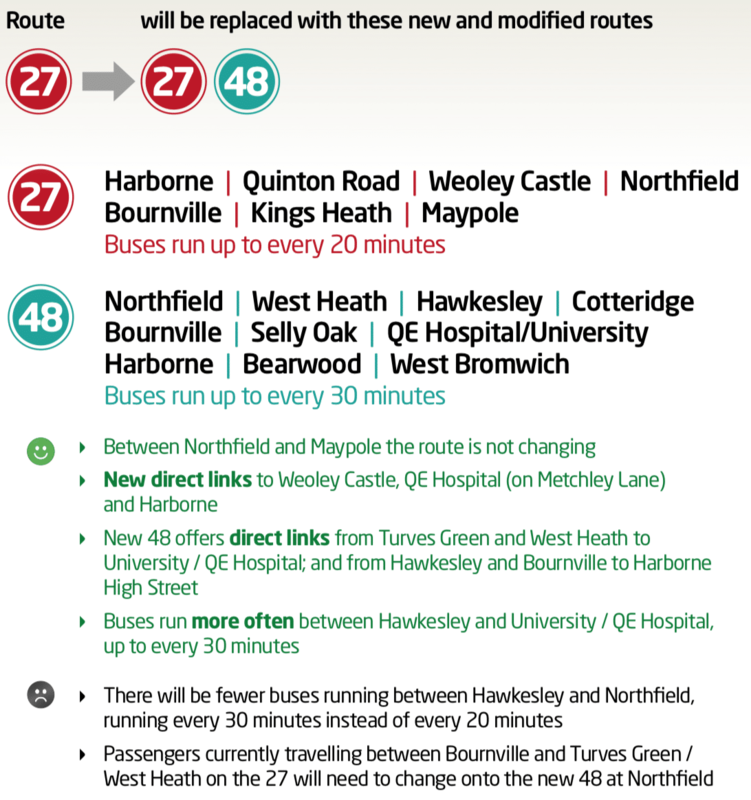 The new 27 will extend from Northfield to Weoley Castle and Harborne. The route is the same as the current 29and will run along Bell Hill, Shenley Lane, Gregory Avenue, Weoley Castle Road, Castle Square, Beckbury Road, Castle Road, Alwold Road, Barnes Hill, California Way, Northfield Road and Quinton Road. 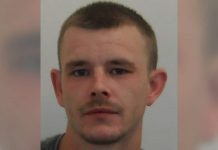 It will then run a loop via Metchley Lane, Harborne High Street, Vivian Road and Harborne Park Road to Quinton Road, returning to Northfield along the reverse route. 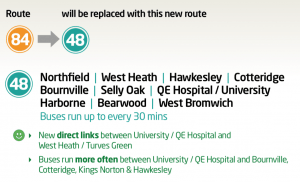 Hawkesley and West Heath will be linked with Northfield by changes to the 48, which will offer new direct links to Cotteridge, Bournville, Selly Oak and QE Hospital / University. In Frankley and Allens Cross the new 49 will offer improved local links, running up to every 15 minutes, and be more reliable than the current 29 which experiences delays caused by unpredictable congestion in Birmingham. In Frankley the 49 will not run along Holly Hill Road, instead running faster along New Street and Tessall Lane. Holly Hill Road will be served by new 61. 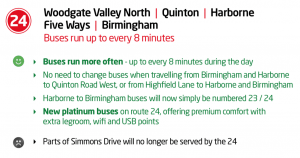 Northfield, Weoley Castle, Quinton Road and Harborne will be served by changes to the 27, that will run up to every 20 minutes between these areas. The route is the same as the current 29 and will run along Bell Hill, Shenley Lane, Gregory Avenue, Weoley Castle Road, Castle Square, Beckbury Road, Castle Road, Alwold Road, Barnes Hill, California Way, Northfield Road and Quinton Road. It will then run a loop via Metchley Lane, Harborne High Street, Vivian Road, Harborne Park Road to Quinton Road, returning to Northfield along the reverse route. Weoley Castle will be linked to Birmingham by a new route, the X21, running from Woodcock Hill along Long Nuke Road and Gregory Avenue to Weoley Castle, then along a similar route as the current X64 to Birmingham. 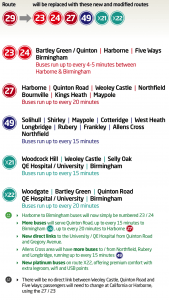 Between University and Birmingham city centre, the X21 will be a limited stop service. 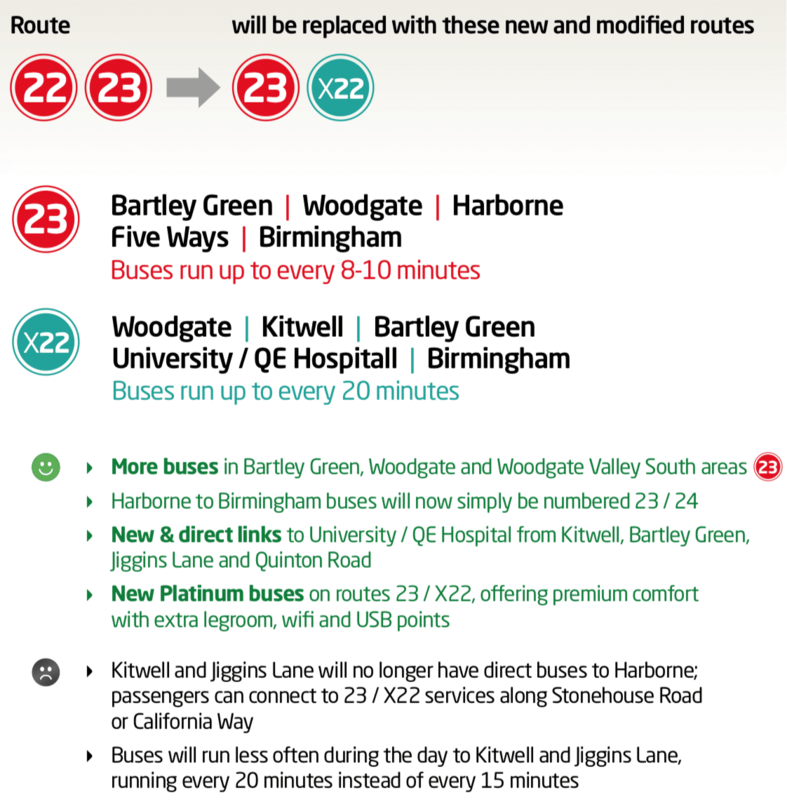 Quinton Road will be linked to Birmingham by a new route, the X22, that will run from Woodgate, along Quinton Road to QE Hospital / University, then follows the same route as the current X64 into Birmingham. The current route between West Heath and Birmingham will not change. Between Longbridge and West Heath, buses on this route will use Coombes Lane and Groveley Lane instead of Longbridge Lane, routes served by the current 47 / 49. 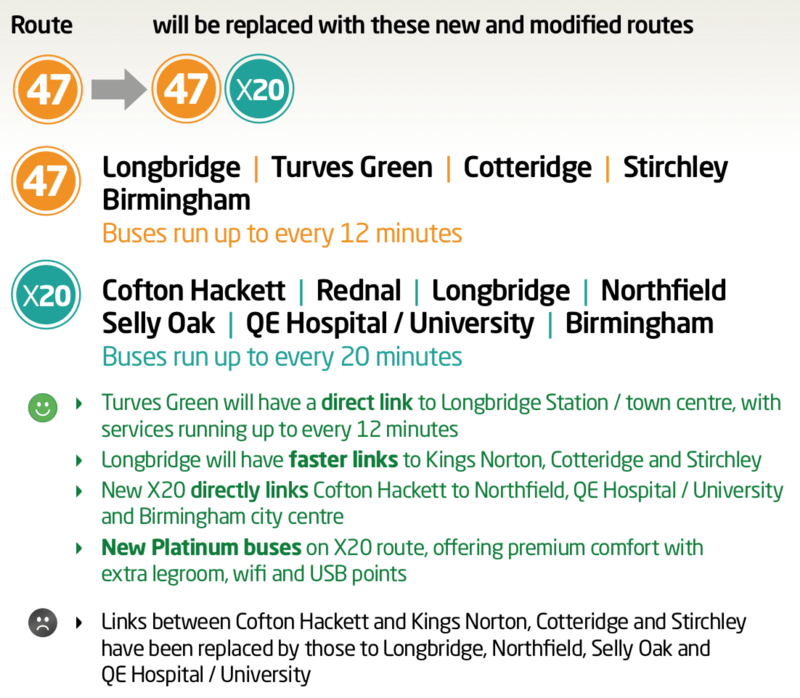 The new 47 will run to / from Longbridge town centre. Coombes Lane and Groveley Lane will be served by the 45. 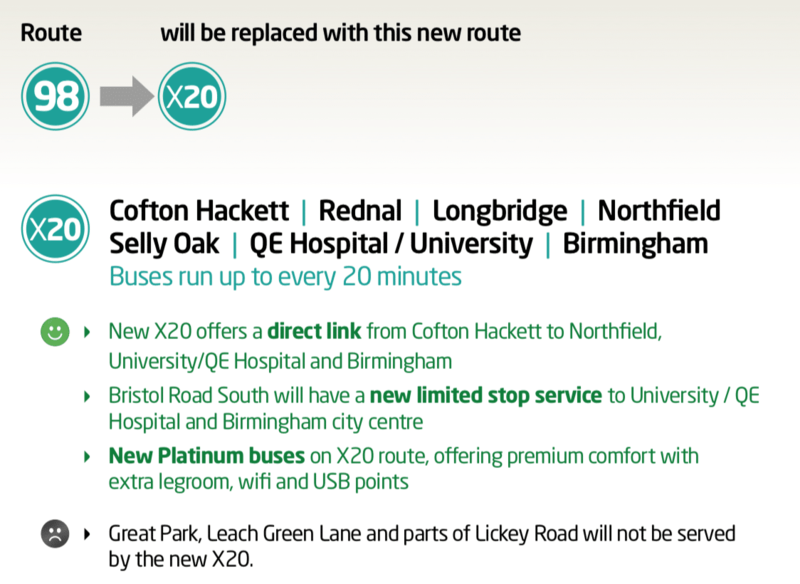 New X20 will serve Cofton Hackett, offering direct links to Longbridge, Northfield, Selly Oak, QE Hospital / University and Birmingham city centre. 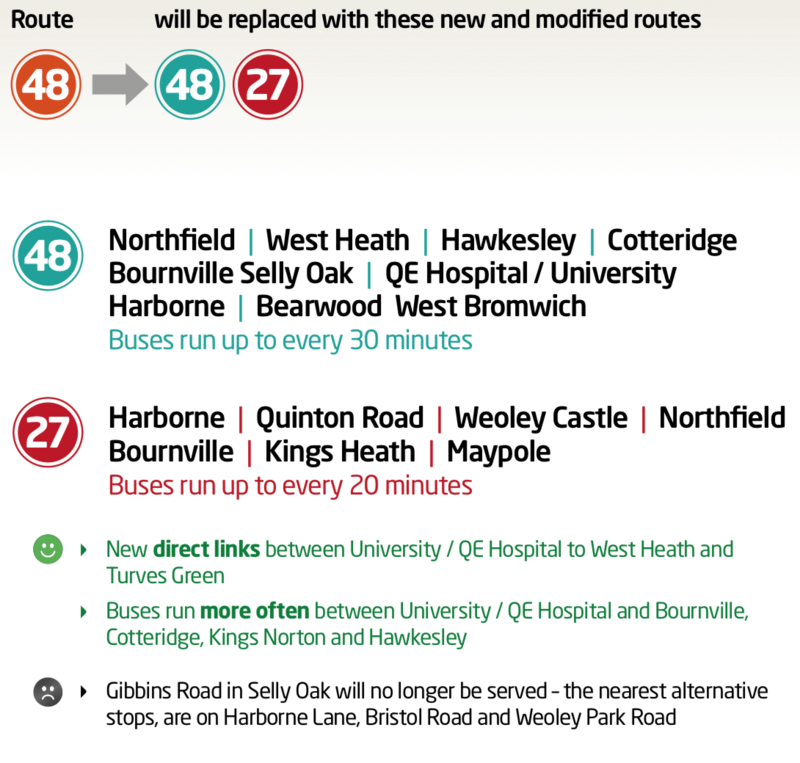 Between Northfield and QE Hospital, the 48 will run along a new route through West Heath, Hawkesley, Cotteridge and Bournville to Selly Oak. 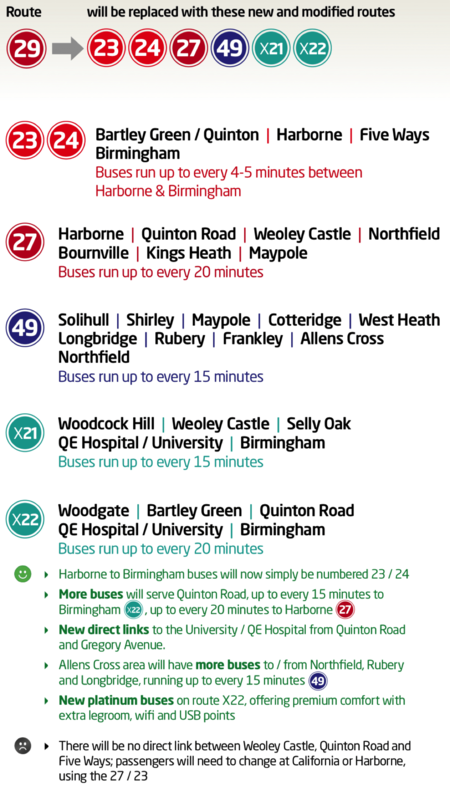 The link between Northfield, Weoley Castle and Harborne will be served by changes to the 27 service, that will run up to every 20 minutes between these areas. This route is the same as the current 29. Castle Road, Middle Park Road, Swarthmore Road and Black Haynes Road will be served by changes to the 39 / 39A service provided by igo. Full details of this service will be available from networkwm.com shortly. Links between QE Hospital / University and Weoley Castle will be maintained by the new X21. 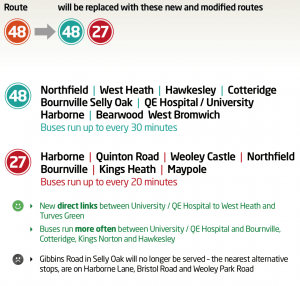 The current 49 route will not change between Solihull and West Heath. Between West Heath and Longbridge, buses will use Longbridge Lane instead of Groveley Lane and Coombes Lane. These roads will instead be served by the 45. 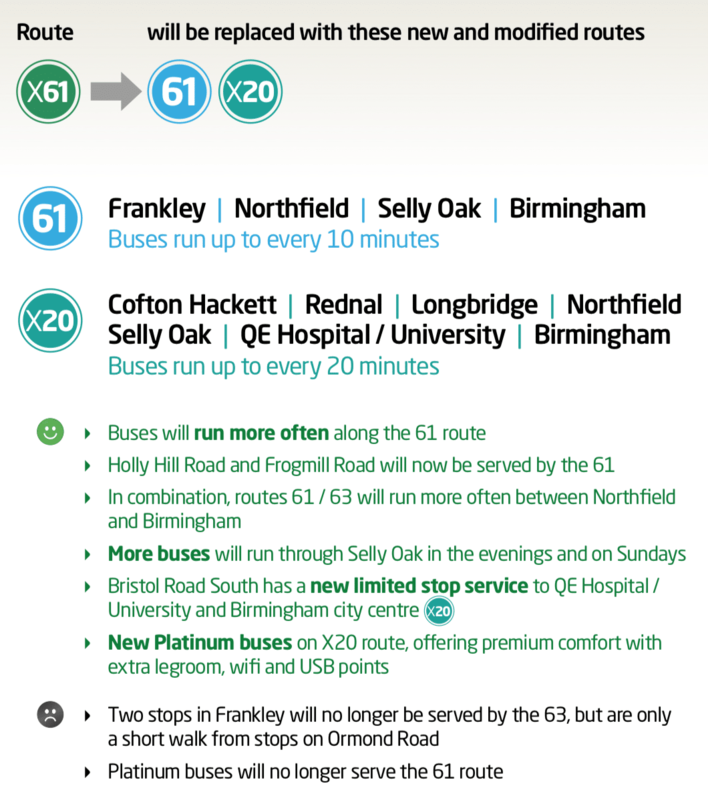 In Frankley, the new 61 will serve Holly Hill Road, Frogmill Road and Tessall Lane. The 49 will serve Ormond Road, Arden Road, New Street and Tessall Lane. 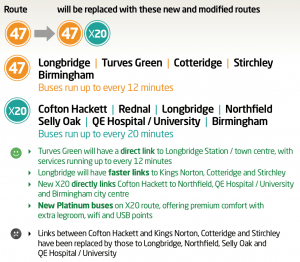 This means that Holly Hill Road will not have direct links to Rubery and Longbridge, but will have more frequent buses to Northfield and a new direct link to Birmingham city centre. The X61 will be replaced by the new 61 service. This will run from the Arden Road terminus in Frankley, along New Street, Holly Hill Road, Frogmill Road, Tessall Lane and Frankley Beeches Road to Bristol Road South. 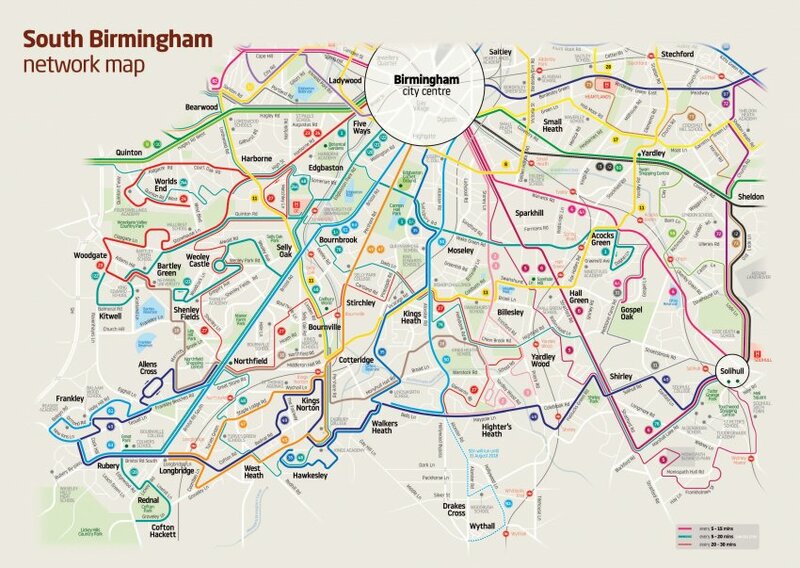 It will then run along the same route as the 63 to Birmingham city centre. The 61 will run more often during the day than the current X61 service, and between Northfield and Birmingham, the new 61 will run alongside the 63. This means buses will run more often between Northfield, Selly Oak and Birmingham. A new limited stop service, the X20, will run from Cofton Hackett and Rednal along Bristol Road to QE Hospital / University and Birmingham city centre. Buses on the 63 route will start from Boleyn Road at Crompton Road and run along Ormond Road, Rubery Lane and Cross Farms Lane to New Inns Lane. The route will not change between New Inns Lane and Birmingham. The 63 will run less often during the middle of the day. 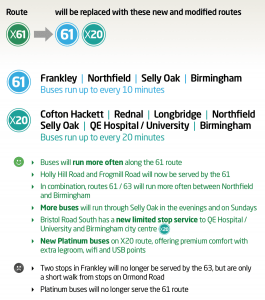 Between Northfield and Birmingham new route 61 will run up to every 10 minutes, meaning buses will run more often between Northfield, Selly Oak and Birmingham. 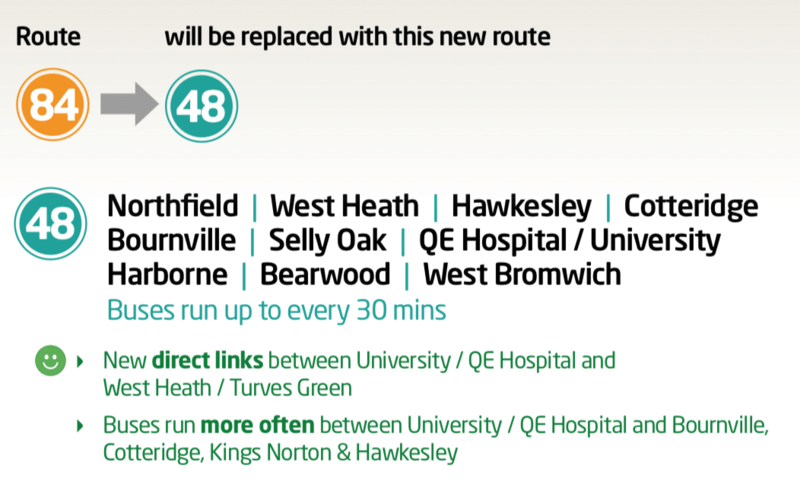 Hawkesley will be served by changes to the 48 service, offering direct links to Cotteridge, Bournville, Selly Oak and QE Hospital / University. This replaces the current 84 service. 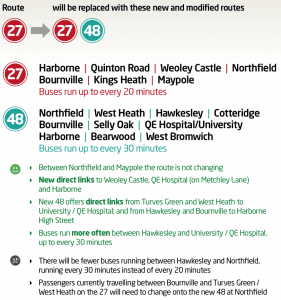 The 48 will also run from Hawkesley to West Heath and Northfield to replace the current 27. 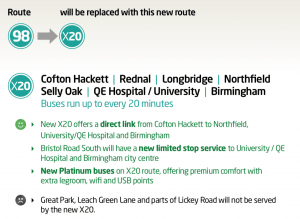 The new X20 service will run from Cofton Hackett via Groveley Lane, Lowhill Lane, Lickey Road and Edgewood Road, through Rednal to Bristol Road South at Great Park. It will then run a limited stop service through Northfield, Selly Oak and QE Hospital / University to Birmingham city centre. The nearest alternative stops along the new route are located on Bristol Road South, Ashill Road, Edgewood Road, Lickey Road and Lowhill Lane. Most stops that will not be served along Leach Green Lane and Lickey Road will be served by changes to route 19 run by igo. Full details of this service will be available from networkwm.com shortly. 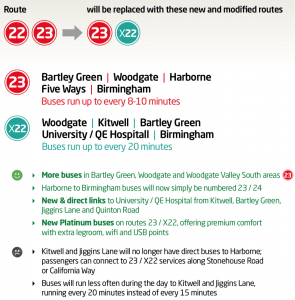 Woodgate and Bartley Green will be linked to QE Hospital / University by new route X22. This will run a more direct route to QE Hospital / University via Jiggins Lane and Quinton Road, instead of Weoley Castle. 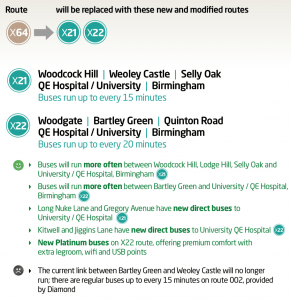 Woodcock Hill and Weoley Castle will be linked to Birmingham by new route X21. This will run from Woodcock Hill along Woodcock Lane, Cromwell Lane, Moors Lane, Hillwood Road, Long Nuke Road and Gregory Avenue to Weoley Castle, then continue along the same route as the current X64 to Edgbaston. It will then run a limited stop service into Birmingham. One bus stop on Woodcock Lane will not be served. 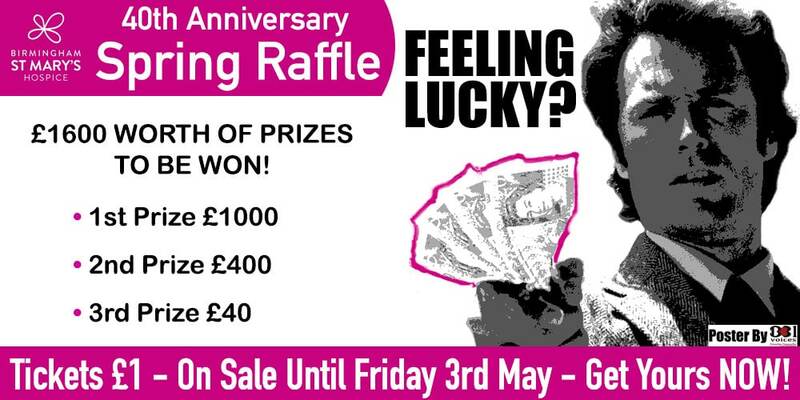 The nearest stops are at Weoley Castle Road (by Shenley Lane) or Woodcock Lane (by Shenley Fields Homes). The closest stop to Newman University is at Cromwell Lane / Moors Lane, which is a short walk away. 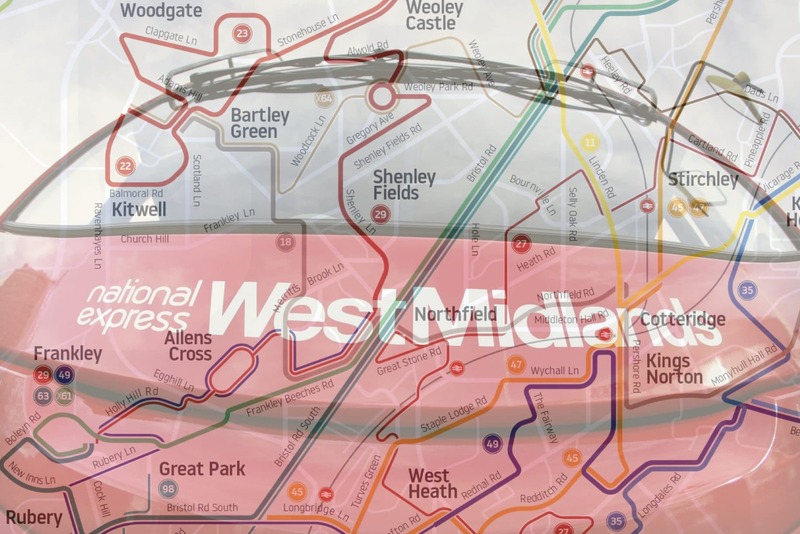 Full information and maps on the new South Birmingham network is available on the NXWM website. 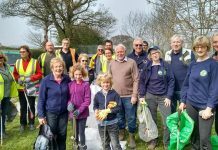 Previous articleNorthfield Beach is back – and it’s a BEAST of an event! No direct bus into the city from Shenley Lane. How can taking the 29 off and replacing it by 2 buses be more viable putting people at risk at night does not seem right to me. A single female travelling from town alone now has to get off at weoley castle to catch another bus home. Not very forward thinking. Can someone please tell me when and where the public consultation was held please, as my Mum uses local buses and obviously would have liked to have had a say, but she never receives anything through her door. Just to let anybody on here know, the 39a will be the bus that goes through weoley castle taking in swarthmore road and black haynes road. Seems like people who live here don’t need to get to town, selly oak or the Q.E. NX bus also need to remember that not everyone goes on the internet. What do people who live off Shenley lane do if they want to travel to/from the city centre on an evening. Does not seem to be a bus after 10 o clock at night to connect to. My wife is partially sighted and now she has to catch 2 buses to get to work at the chamber of commerce. Because she has to change buses now she has decided to not go shopping with me . So what are we supposed to do if she has to go elsewhere. These changes are just ludicrous. Can you tell me how my elderly mother gets from the QE to Wheeleys Road Edgbaston, as buses don’t seem to stop here anymore and I can’t find the nearest stops anywhere? Replacing the 98 with a limited stop service disadvantages many south brum residents who now have no direct service to the QE hospital. Also the new x20 won’t stop at the Royal Orthapedic hospital, which just seems illogical. People will really start to struggle in the dark winter months. Only the bus company benefits from taking stops away, I hope people protest in droves. Bring back Little Red Bus – a great service that covered nearly everywhere NatX didn’t. I live at Elliott Gardens B458us at the foot of the Lickey hills ,we are a over 55 anchor housing complex most residents are aged between 60to80 many relied upon the 98bus which has being withdrawn due to the route changes following the consultations which we were part of so it shows how little thought West Midlands travel gave to us,many of our residents require visits to local g.p surgery’s or the q.e hospital to accomplish these tasks now they need to be able to walk up to half a mile or use a taxi ,so much for ratepayer funded public transportation,some of our residents are disabled with severe walking issues,my wife included ,so they have become isolated,we are trying to raise awareness through our local m.p Richard Burden and local councillors also wa are trying to get the Birmingham evening mail to pickup the story,my hope is we can get West Midlands travel to appreciate our individual predicaments and act to give us back a bus service fit for all not just young fit Abel bodies who can easily walk the new required distances. Some of the changes are a help to some people. I think it’s very good that it is now possible for people who live in West Heath and Turves Green to travel all the way to the Queen Elizabeth Hospital without having to change on to a second bus. I have suggested this several times whenever a ‘consultation’ is being held. Perhaps someone noticed. 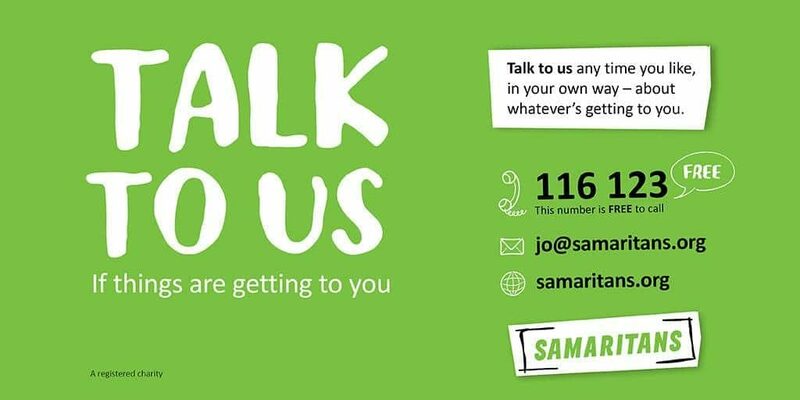 It would also be very helpful for local people to have a bus service which connected us more closely with Lodge Hill Cemetary where family members who have passed away of lots of local people are at rest. The journey currently involves taking at least 2 buses and then a longish walk which is not easy for older and less mobile people. Not everyone has a car. I’ve also suggested this but no-one has taken any notice. The rest is not so good. 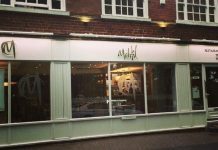 It’s ridiculous that people can only travel from West Heath to Northfield, where they have traditionally done a lot of their shopping, half-hourly. Years ago the no.27 ran every 10 minutes, then every 15 minutes and then every 20 minutes. At least if the no. 48 was scheduled to run 20 minutely it would be a help. 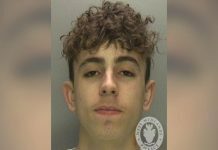 I sympathise with the gentleman who lives in Elliot Gardens in Rednal who commented above. They are people who need a good bus service stopping by their homes. The changes to the bus services have severely affected them. Lots of people in the area like to walk their dogs in Cofton Park and with the Labour Council introducing parking charges there they might find it cheaper to use the bus service. But if I want to take my dog by bus to the park from West Heath or if people want to take their children there, it can now take up to an hour to get there even though it’s just 2 miles away! It’s necessary to take 2 buses, usually with a long wait for the second one and then a long circuitous route via part of Rubery. The continuing hold-ups with the never-ending Longbridge Connectivity project don’t help matters either. I hope that WM National Express will review these changes again sooner rather than later for the benefit of local bus passengers. New X20 runs along Cliff Rock Road to city but the road is unsuitable for double decker buses. On the first week of changed route bus damaged a tree overtaking Amey vehicle. When will Nxbus decide it is too dangerous and revert back to single decker on 98 old route? X20 does not returns from city up along Leach Green Lane so not sure why?? Then when schools return in September and the snow and ice in winter to contend with will make the situation much worse! I’ve written to Richard Burden who was said to be contacting National Express regarding the changes to the x61. The bus used to stop near a supported living complex where my wheelchair bound son is resident. The bus now terminates at Arden Road which is a good 15 minutes away for him and his carer to walk. This change also affects other people with learning disabilities who relied on the 61 service. I havecorresponded with National Express myself who are yet to clarify why they cut out the two bus stops to the detriment of the public. I am also awaiting a reply from Richard Burden with some news of his progress.